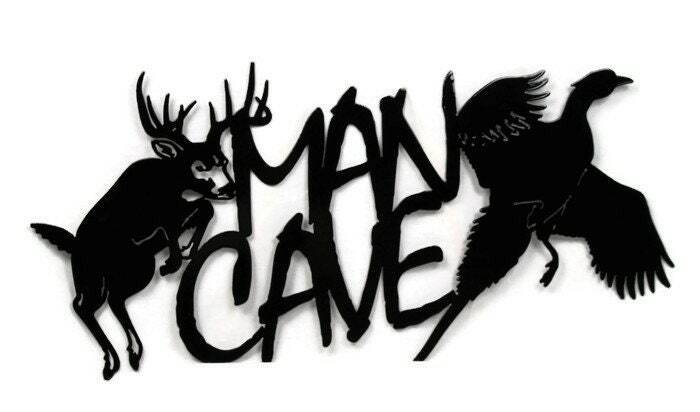 MAN CAVE leaping deer and flying pheasant sign makes a great addition to your man cave! This man cave sign is cut from steel about as thick as a nickel. Heavy duty for a lasting gift! 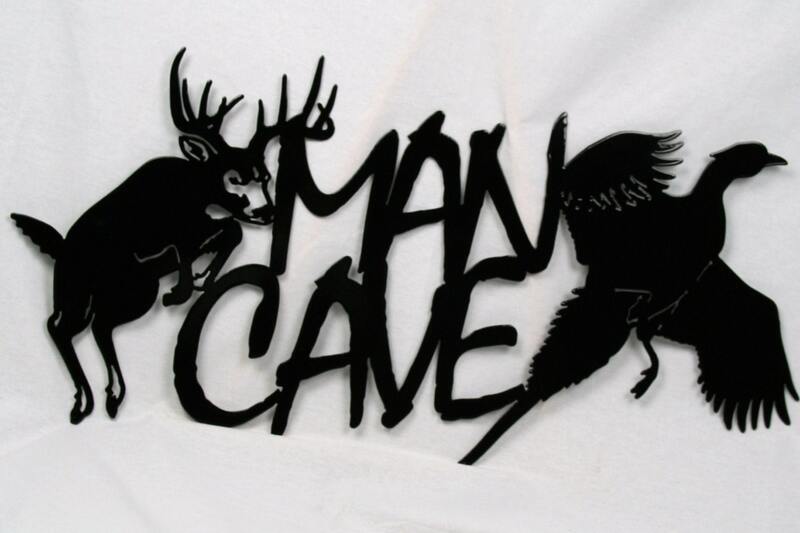 Beautiful man cave sign is coated in your choice color durable powder-coat. Safe to display outdoors for decades! 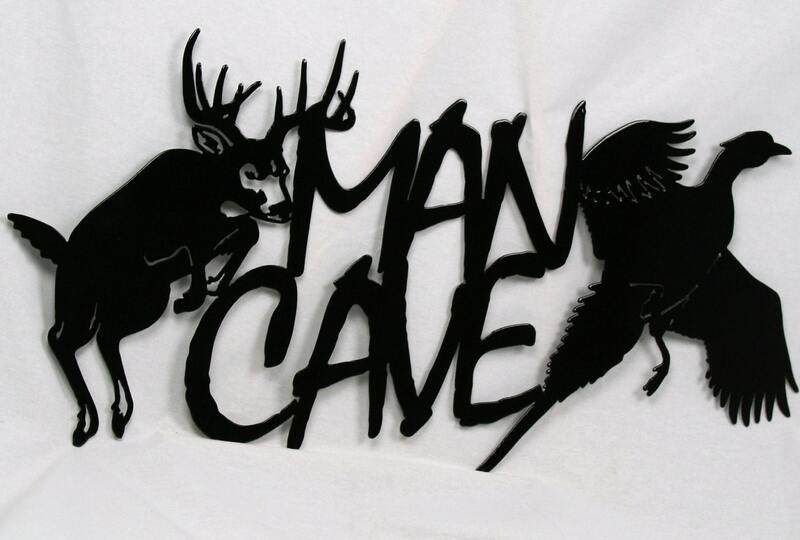 We hope you'll love our man cave signs as much as we love making them!